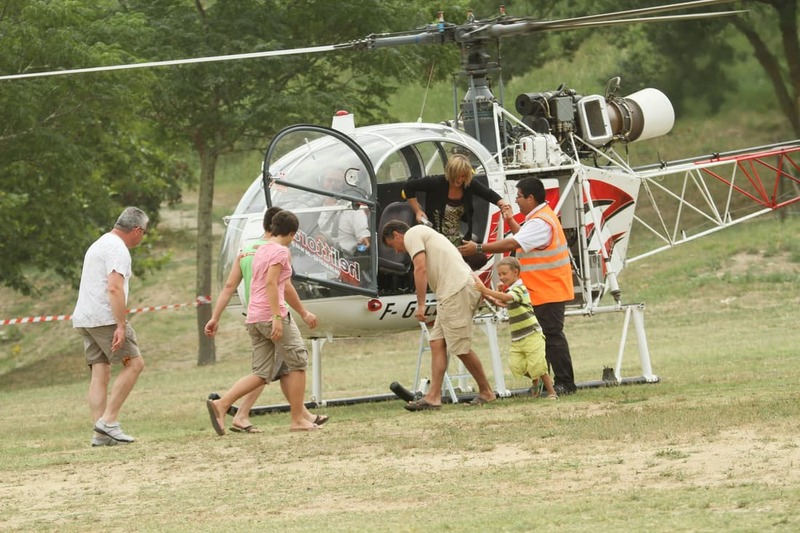 For your fairs, festivals, or any other event, we can organize "first flights by helicopter” in your town. Would you like to make memories for your visitors and propose an exceptional and original event? How about a flight by helicopter with Helittoral Helicoptères? Whether you are in the hills, on the coast or in the mountains, we plan and animate your “first flights by helicopter”. Curious visitors are in search of new sensations and experiences and they will be seduced and attracted by this helicopter flight. “First flights by helicopter” are a real crowd pleaser. They will have a great impact on your visitors’ experience. They will be delighted to discover the Catalan landscapes from the sky and maybe to fly over their homes! Moreover, you will realize a dream with both children and adults enjoying a first flight. We will analyze and plan the flights and set up the “first flights by helicopter”, providing also safety briefings for clients. The aircraft used for these first flights is an Alouette II, a transparent bug-eye helicopter, offering 4 passengers awe inspiring views all around. There are no age restrictions for this activity. The price of a first flight by helicopter is of €40pp. For children under 10 years old, the flight is €35pp.